What is New Zealand style fly fishing? 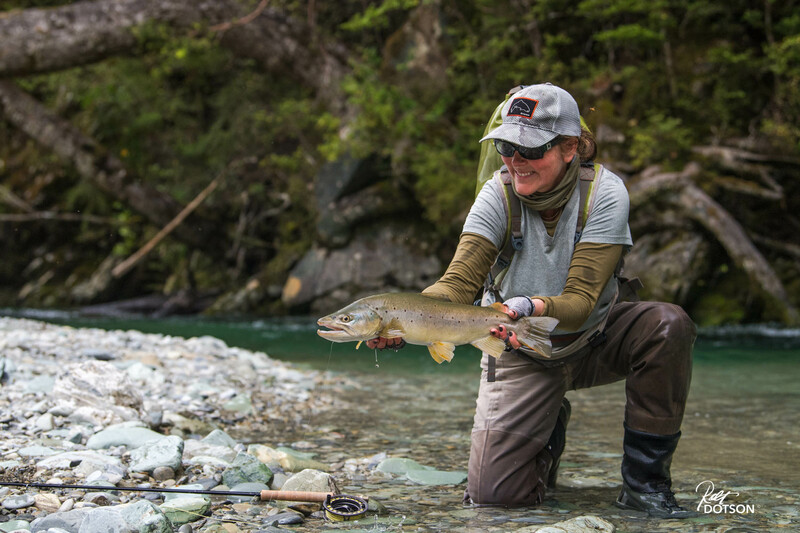 New Zealand is blessed with clear rivers and large resident trout. This unique set of circumstances means the angler needs to adapt their fishing style to suit the environment and quarry. Owen River Lodge is located near Murchison at the top of the South Island of New Zealand, this region receives a huge amount of rainfall (around 2 meters/ 80 inches per year), and as a consequence of all this rain the region boasts over 30 rivers we drive to fly fish and another dozen we helicopter into. The fly fishing here is all about sight fishing, walking & stalking up a river trying to spot a feeding wild brown trout before it spots you ! 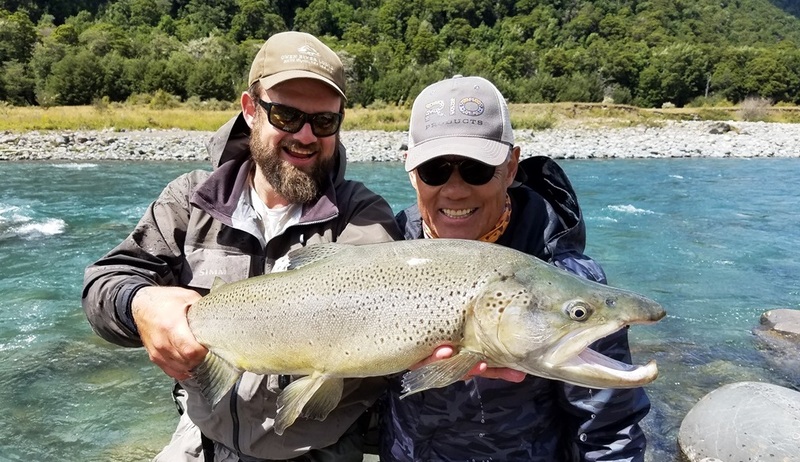 The clarity of our rivers dictates that the angler use a stealthy approach and it is this stealthy approach that permeates every aspect of our fishing in New Zealand. To be on top of your game means being able to cast accurately at around 25 > 30 feet, using a long leader. And I do mean long :12 > 15 feet of tapered leader and usually another 3 or 4 feet of tippet is the norm here. All this creeping around the river is aided by the angler wearing dull coloured clothing – dull green is perfect, and ideally entering the water quietly (I’m not talking about whispering here) to make that cast to the fish of a lifetime. The next hurdle the angler faces is presenting the fly in a drag free manner. Just the hint of drag will put these trout with PHD’s down, so it’s vital for your success to practise your mending skills prior to your arrival in brown trout heaven. Depending on what the bugs are doing and what the trout are feeding on will dictate if you’re presenting a dry/terrestrial or a nymph (or two) under an indicator. In New Zealand, we prescribe to the slow strike if the fish are taking drys and a super fast strike if the trout are taking nymphs. The big lesson to be learnt here is to listen to your fishing guide. When they call the strike, humour them and strike. This is especially critical when you’re nymphing under an indicator ! While you’re watching the indicator, they are watching the trout and can usually spot when the trout open their mouths to feed. Listening to your guide will increase your success rate and hopefully you’ll learn something to use when you’re back home.